Bloomberg is reporting that the Tata Singapore Airlines joint venture Vistara has selected the Boeing 787 Dreamliner over the Airbus A330neo as its wide-body aircraft for long distance international operations. The 787 is a newer generation aircraft compared to the A330neo. The 787 uses composite materials extensively to provide a superior passenger experience. Boeing has been aggressive on pricing the 787 against the A330neo. Boeing has ironed out almost all of its 787 issues and production is in full swing at both Everett and Charleston. 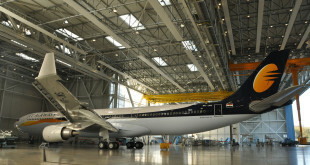 Its parent Singapore Airlines has excellent relations with Boeing. Bulk of its long haul fleet is Boeing 777. It is the launch customer for the 787-10, the largest variant of the 787, and will use the 49 ordered 787-10 to replace its existing A330 fleet. Note: Singapore Airlines was the launch customer of the Airbus A380 superjumbo, will be the launch customer of the A350ULR and is a large operator of the A350. So relations with Airbus are good too. The Singapore 787-10 features its newest generation cabin product so Vistara rapidly select a similar cabin in a Vistara colour scheme. Assuming it continues its premium economy class internationally, it will need to provide for a premium economy class cabin. Engineering support will be easier with 787 MRO facilities in Singapore. Additionally Air India also uses the 787-8 (the smallest variant) and 787 ground engineering will be available. If, the Tatas do buy Air India, there will be fleet commonality. The 787 is common type-rated for pilots. Air India also uses the CFM powered A320 family which Vistara too, operates. The Bloomberg report indicates Vistara hasn’t yet decided between 787-9 or 787-10 variant. The -10 is a -9 airframe stretched by 18 feet to provide for 40 additional passengers. 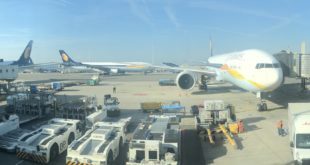 With the same fuel tanks but more weight, the 787-10’s range (11,910km nominal) is shorter compared to the 787-9 (14,140km nominal) which Jet Airways has ordered. The 787-10 is 38 feet longer than Air India’s 787-8 (range 13,620km nominal) and can carry almost 100 passengers and four cargo pallets more. Bangalore Aviation analysis leads us to believe that Vistara is focussed the eight to ten hour flight time segment at present. The range of these routes will determine Vistara’s initial choice, though we also suspect delivery time frames will also play a part. The 787-10 has 171 aircraft on order while the 787-9 has over 700. Air Lease Corporation has 25 787-10s on order and GECAS have four. With the 787-10 Vistara will be able to offer services to any destination in Europe and Asia and almost all of Australia and Africa. It is unlikely that Vistara poaches on its parent, Singapore Airline’s turf, and operates to Australia in the near to medium term, though we cannot rule it out. The gulf and Thailand markets can be served by single aisle A320s. The 330 seat capacity 787-10 will be well suited for dense routes like Dubai. Initially we can expect Vistara to operate from its New Delhi hub to Singapore and feed its parent company’s hub. Also expect Vistara to operate the lucrative London route, and Hong Kong as well. This will also give Singapore Airlines more capacity into London Heathrow again via New Delhi, and give Cathay Pacific some competition on the Hong Kong London route. A flight via New Delhi is a significantly shorter than via Singapore. 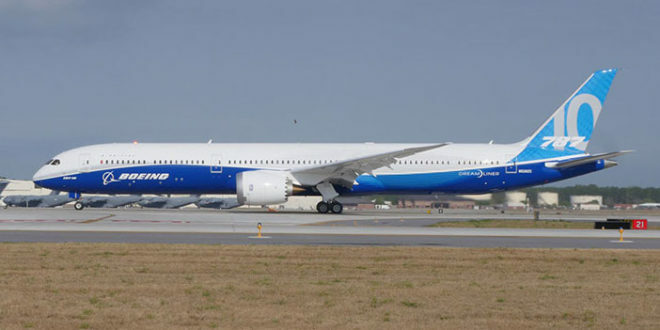 The the ultra long range India USA market will be ideally performed by the 787-9. Since the 787-10 is common type rated across the family, it will be easy for Vistara to exercise its options and induct the -9 once it decides to operate to the United States. As usual we invite you to share your thoughts on these developments via the comments system.